Defending champions and local football heavyweights APR kick off their campaign for their 18th league title today when they host Amagaju at Kigali Stadium – starting at 16h00. The 2018/2019 Azam Rwanda Premier League gets underway today and will run through June next year. 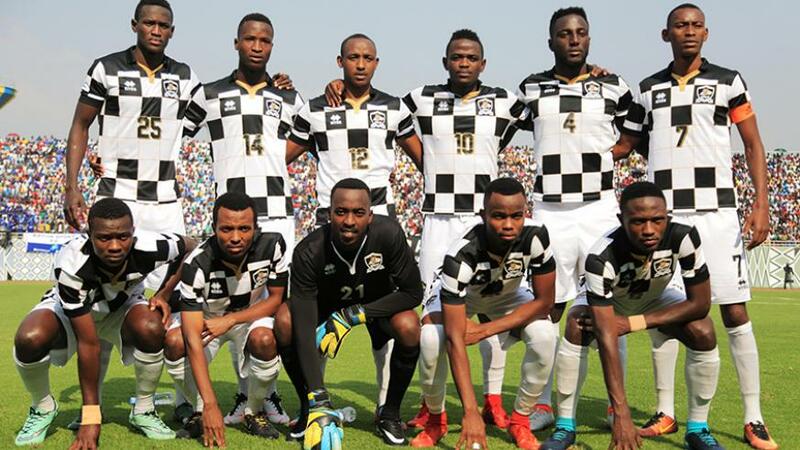 APR won their record-extending 17th league title – in 23 years, since 1995 – in June dethroning rivals Rayon Sports who were champions the previous season. During the ongoing transfer market, APR beefed up their squad with a number of top signings, including right-back Micheal Rusheshangoga, from Singida United of Tanzania. He rejoined the white and black outfit after one season with Singida. Other new faces include Mirafa Nizeyimana and Mustafa Nsengiyumva, from Police, Yves Mungunga and Fiacre Ntwali, who were promoted from the club’s academy, as well as former AS Kigali playmaker Evode Ntwali. After an impressive campaign that saw APR win the league and Super Cup titles last season, they have been widely tipped to begin from where they left off last season. While APR will represent Rwanda in CAF Champions League next year, Francis Haringingo’s Mukura VS will also be carrying the national flag in Caf Confederation Cup as Peace Cup winners. The two sides have met twice in the last two months. Mukura edged APR in semi-finals of the Peace Cup at Kigali Stadium in August before Petrovic’s side returned the favour with a 2-0 win to lift the 2018 Super Cup a fortnight ago at Umuganda Stadium in Rubavu District. Mukura start their campaign on Saturday, hosting Nyagatare-based Sunrise FC at Huye Stadium. Last season, the black and yellow outfit finished 13th on the 16-team league table – just four points off the relegation zone. The new topflight league will be comprised of 16 teams. Following the sudden withdrawal of Intare FC in August, previously relegated Gicumbi have made a quick return to the country’s top tier football without kicking a ball in the second division championship. Photo: APR FC won the 2017-18 league title with 66 points, five ahead of first runners-up AS Kigali. They only lost two games, and conceded 15 goals. Sam Ngendahimana.